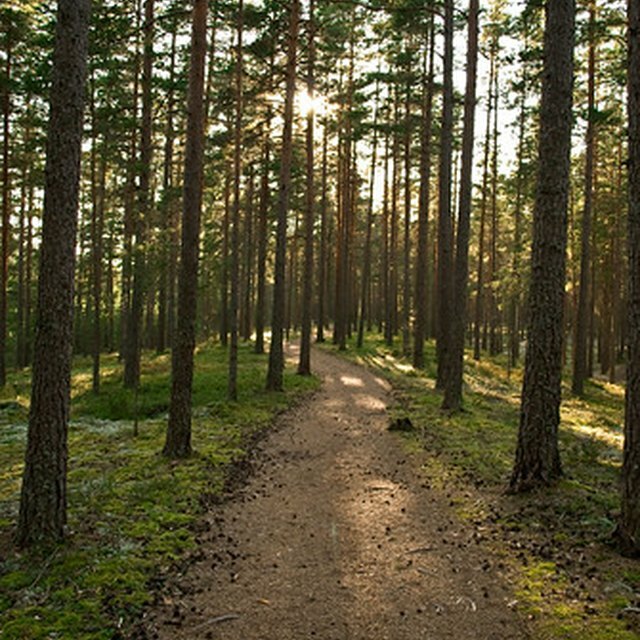 Pines are scientifically defined as a gymnosperm, meaning that they bear "naked seeds." Pines are also considered to be a conifer, which is a term that is similar but not identical to the gymnosperm. Pine trees produce pine cones, which come in either male or female forms. The male cones are long, soft, stringy structures that are created in the spring, while the female cones are the hard scaly object that is commonly referred to as a pine cone. Like all plants, pines need the basic ingredients of sunlight, water and carbon dioxide to survive. Without these ingredients, photosynthesis could not occur and the pine tree would not survive. With these ingredients the pine tree is able to convert sunlight to energy and make plant sugars, which are essential to the plant's survival. Also important are nutrients which are absorbed from the soil by the roots of a growing tree. A pine tree can grow in acidic or alkaline conditions, but the growing requirement for a well-drained and sandy soil is most common among the pine family. A few species like lodgepole and loblolly can grow in wet areas but they are rare. 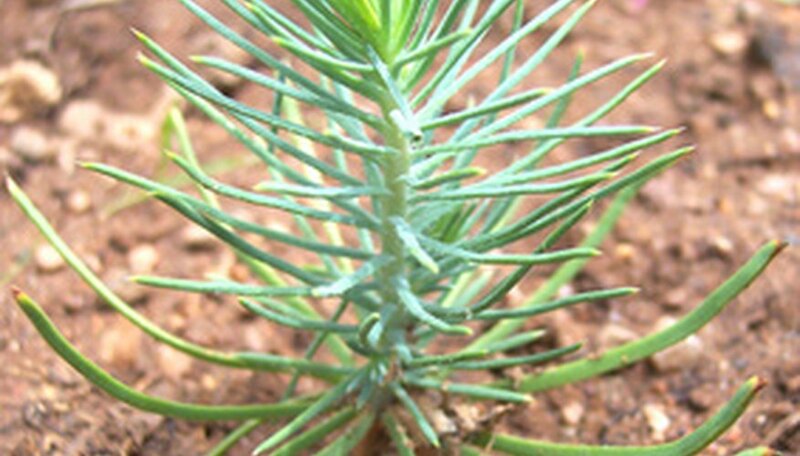 A pine tree needs lots of sunlight to grow, so young seedlings is rarely found growing deep within the forest. Instead, pines tend to colonize fire sites and disturbed areas, where they can absorb the sun's rays. Some species such as white pine can grow in partial sun, but most pines are classified as shade intolerant. Pines produce male and female cones and usually require cross-pollination between different individual trees in order for fertilization to occur. Nearly all pines are dependent on wind currents to distribute the spring pollen. In fact, so lightweight is the pollen that individual pollen grains can ride the air currents for many miles. Many pines are dependent on forest fires, especially ground fires, for ecological survival. A ground fire benefits various types of pines in different parts of the country. Many species such as the Southern longleaf pine, the pitch pine and the Ponderosa pine develop thick bark at an early stage in the life cycle. This turns out to be a benefit during a small forest fire, for the pine will survive the fire, while other competing trees, especially hardwoods, will not. Some pines have cones that are defined by botanists as being serotinous. A serotinous cone is naturally sealed shut by resin but, during a forest fire, heat from the fire will melt the resin and release the seeds from the pine cone. Jack pine, lodgepole pine, Table Mountain pine, pitch pine and knobcone pine are just a few of the pine species that produce combustible cones. None of these species produce a crop of cones that is completely serotinous. A few species of pines such as the white-barked pine and limber pine of the Rockies are dependent on birds to disperse the seeds. This is usually accomplished by the bird opening the seed covering and digesting the seed, which passes through the digestive tract unharmed, but ready for germination. Bauholz, Henri. "What Do Pine Trees Need to Survive?" Sciencing, https://sciencing.com/do-pine-trees-need-survive-6549613.html. 17 September 2018.